Introduction: Diabetes mellitus type II (T2DM) is the leading cause of morbidity and mortality globally, with its increasing prevalence in children worldwide and is associated with their eating habits, sedentary lifestyle, obesity, and family history of the disease. Aim: The present study was an attempt to screen the school children at risk of developing T2DM in their near future and to comprehend the cause of disease. Materials and Methods: A total of 71 students (45 boys and 26 girls) of the age (mean ± standard deviation) 12.8 ± 2.1 years of Bhartiya Vidya Mandir School, Ludhiana, were scored using Indian diabetes risk score (IDRS), a questionnaire that is simple, validated, and had proven to be highly effective in the previous studies. Results: The present study revealed that out of 71 children, 7%, 63%, and 30% of the children were in high-, moderate-, and low-risk groups, respectively. The study reflected that the boys would be at higher risk of developing T2DM in their near future than girls due to more pronounced diabetic history in their family (a nonmodifiable factor) than in girls and the presence of acanthosis nigricans (the marker of insulin resistance) only in the boys. Girls were at risk mainly because of their less physical activity and more abdominal waist (the modifiable factors). Conclusions: IDRS provided a useful tool for identifying the cause for the risk of disease in children. Fathers might be responsible for the transmission of T2DM more to their sons. T2DM in childhood can be prevented to large extent by increasing physical activity periods in school, promoting healthy eating habits, and regular screening programs to identify the at-risk cases for early treatment and to control the long-term effects of the disease. Background: Stainless steel crowns (SSCs) till now accepted as the best restorative modality for primary teeth, are being frowned on due to their poor esthetic appeal. The recently introduced preformed zirconia crowns are a more esthetic alternative, but the ability of these crowns to withstand stresses in the intraoral environment has not been tested. This study is a continuation of an earlier study done by the same authors to understand the stresses an SSC is subjected to under occlusal forces. Aims: The aim of this study is to compare the effectiveness of preformed zirconia crowns with the gold standard SSC for the restoration of primary teeth through a finite element analysis. Settings and Design: In vitro. 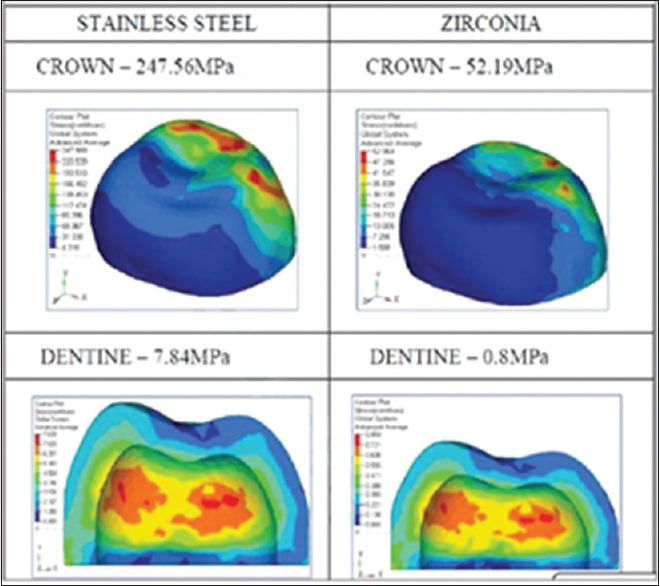 Materials and Methods: The study design employed two finite element models, with the same amount of tooth structure, one restored with SSC and the other with preformed zirconia crown. The finite element models were exported to ANSYS software and subjected to an average simulated bite force of 245N. Statistical Analysis Used: The finite element models were exported to ANSYS software subjected to an average simulated bite force of 245N. 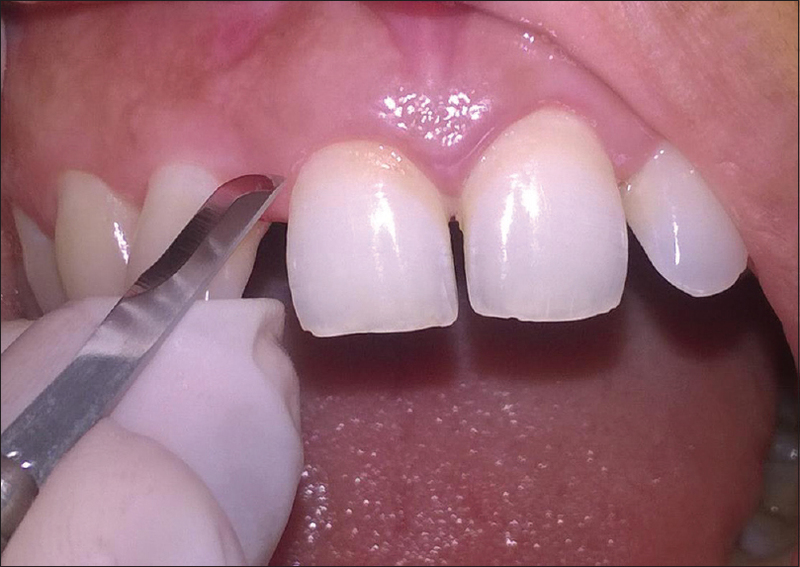 Results: Preformed zirconia crowns suffered lesser Von maximal stresses along with its underlying dentine. Conclusions: Even at maximal physiologic masticatory force levels, a grossly destructed tooth restored with preformed zirconia crown can withstand stress better than a tooth restored with SSC. Purpose: Although inconsistent data prevail in literature, there may be an association of periodontitis with fluorosis (FL). Oxidative stress also contributes to the pathogenesis of periodontitis and is said to be higher in patients with dental FL. Evaluation of the effect of herbal product like guduchi with antimicrobial, antioxidant, and anti-inflammatory properties in the treatment of periodontitis patients with and without dental FL was the main aim of our study. Materials and Methods: The study was a double-blind, split-mouth study with the control sites being treated with scaling and root planing (SRP) only and the test sites being treated with SRP + guduchi gel (SRP + G). 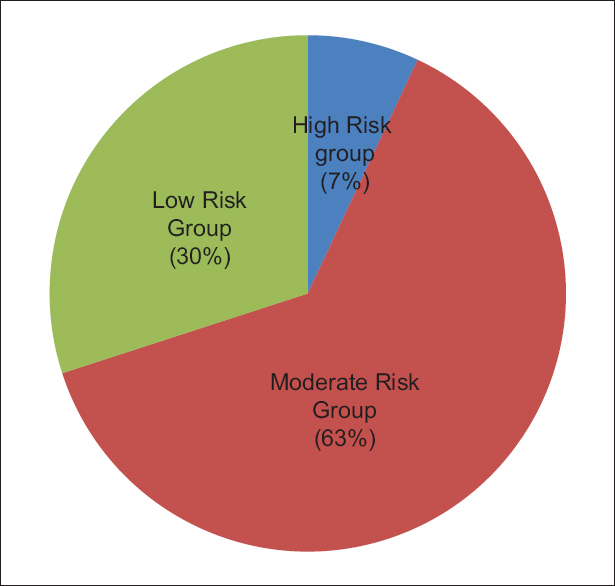 Forty-eight patients who were diagnosed suffering from periodontitis with or without dental FL were divided into four groups and were subject to treatment. Clinical, microbiological, and biochemical parameters were recorded at 0–3 months after treatment. Results: The clinical and microbiological parameters showed significant difference (P < 0.05) at 3 weeks and 3 months within the SRP + G and SRP treated sites in all the groups. The sites treated with SRP + G in all the groups showed clinically significant improvement than sites treated with SRP alone. 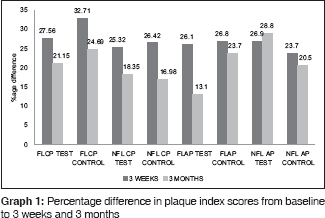 However, the control and test sites of fluorosed and nonfluorosed periodontitic patients showed similar improvements in clinical, microbiological, and biochemical parameters. Conclusion: Guduchi gel (6.25%) has clinically significant anti-inflammatory and antimicrobial effects along with SRP. Increasing the concentration of the gel on a larger sample size would render it more effective in the nonsurgical therapy of periodontitis. There are recent advances in periodontal surgical techniques, from resection to regeneration, the focus of surgical access has shifted to regeneration of lost tissues. To achieve goals of periodontal surgical therapy, minimal invasive surgery can be considered as a potential future for the treatment of periodontal disease with the concept of being minimal in our treatment approaches. 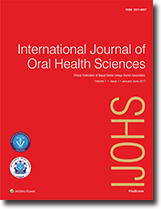 This article reviews the various techniques, its applications, and future prospects of minimal invasive periodontal surgery. 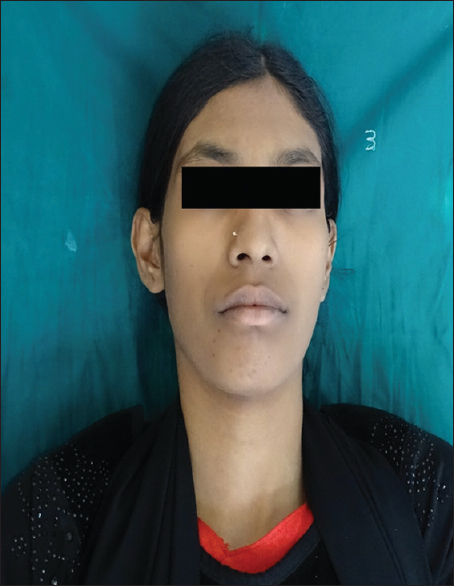 Idiopathic thrombocytopenic purpura is an acquired platelet disorder reported to have spontaneous hemorrhagic gingiva as one of the earliest manifestations, sometimes as a presenting symptom. It is very important for general dentists to be aware of such conditions as prolonged bleeding may occur as a life-threatening complication during and posttreatment of such patients. They must have a basic insight of the oral findings of thrombocytopenia and should arrange and prepare the necessary assistance in advance. A diligent cooperation among patient, hematologist and dentist are crucial in the management of bleeding disorder patients. This paper provides an overview of thrombocytopenia and current recommendations for its periodontal management. 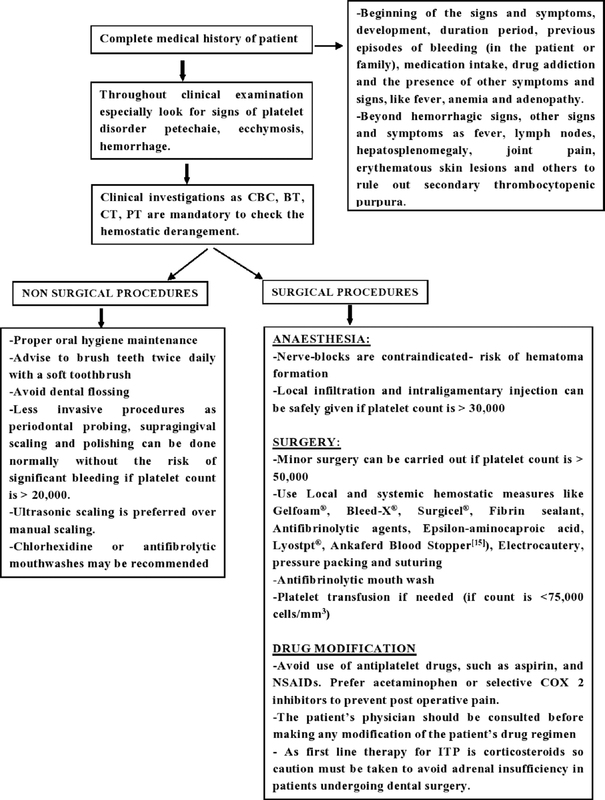 We concluded that thrombocytopenia is not an absolute contraindication for dental procedures; however, the course of treatment should be commanded by the clinical manifestations and the platelet count. Peripheral ossifying fibroma (POF) is one of the few reactive lesions of the gingiva which are clinically similar in presentation. The lesion occurs over a wide age range with females being affected more often than males. Furthermore, the POF has a propensity to occur in the incisor cuspid area affecting maxilla more than the mandible. POF is known to arise as a focal exophytic mass exclusively on the gingiva commonly appearing to originate from the interdental gingiva and does not commonly involve the underlying bone. Irritation to the gingiva by calculus, plaque, ill-fitting dentures, and hormonal influence has been considered in the etiopathogenesis. The recurrence has been found to be as high as 16% making it important for the clinician to identify the lesion and treat accordingly. Supernumerary teeth are defined as the existence of an excessive number of teeth in relation to the normal dental formula and they may develop at any location in either upper or lower dental arch. Hyperdontia or supernumerary teeth without associated syndrome is a rare phenomenon, as supernumerary teeth are usually associated with cleft lip and palate or other syndromes such as Gardner's syndrome and cleidocranial dysplasia. 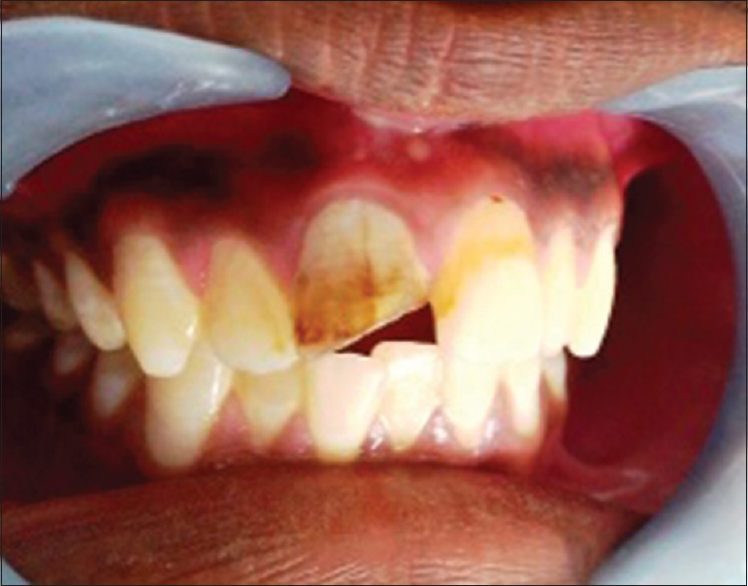 Here, we report a case of supernumerary teeth in a nonsyndromic patient. A nonvital tooth with open apex is a challenging clinical condition for the dentist as it requires a systematic diagnosis of the problem and a customized treatment plan. A 17-year-old male patient reported to the clinic with fractured upper right central incisor (11– Federation Dentaire Internationale Notation) with discoloration, and the X-ray showed open apex which was treated using calcium hydroxide and mineral trioxide aggregate (MTA) to form apical barrier (apexification) and then obturation was completed using gutta-percha. The metal ceramic crown was placed to restore the function and esthetics. As the tooth lacked natural apical constriction, an alternative to standard root canal treatment called as apexification or root-end closure is advised. We report a case of disseminated histoplasmosis in a 70 year old immunocompetent male patient. Generally most of the cases of Histoplasmosis in India present with skin lesions and oral ulcers, mass lesions are uncommon presentation. 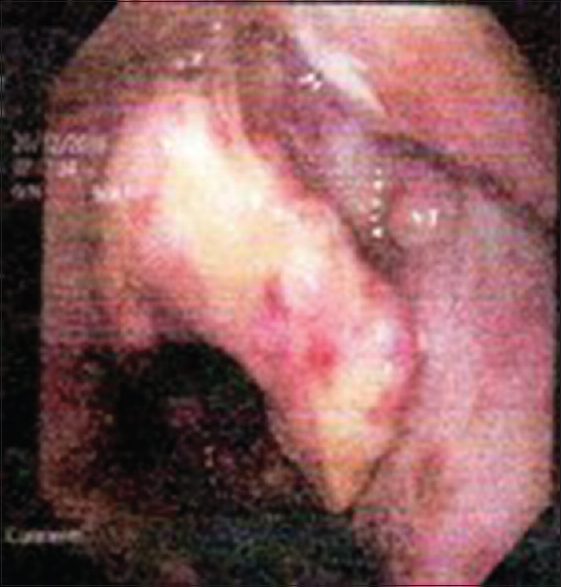 The close masquerade with malignancy makes it an interesting rare case with lot of academic learning for considering Histoplasmosis as one of the differential diagnosis in oral mass lesions.